The PVC usage in the new building & construction segments has increased among globally (profiles, foam boards,speciality pipes & fittings). Tremendous growth potential exists in the indian sub-continent region. Our products find application in pvc pipe fittings, profiles and films among others. We offer customised solution to the industries. 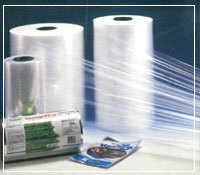 Indofil k 120 nd ( processing aid) is an established brand in the pvc industry.